Creating a great rapport with home buyers is integral to sustaining a clientele base. Don’t be afraid to ask questions. Asking questions to understand your buyer’s needs is critical to not only qualify them as serious buyers but to help them through the buying process. We all know good listening skills are important to any successful Real Estate Agent. Ask additional follow-up questions. 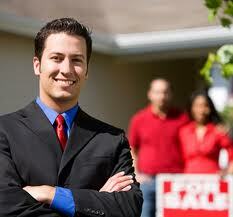 Done properly, you’ll not only gain a sale with a home buyer, you will gain referrals for future sales! Download this white paper to see what top producers view as the “Top 10 Questions” to ask a prospective home buyer. Keep these papers handy during that meeting with your prospective buyer and watch your relationship with these people blossom into long-term sales opportunities!